Marriott Hotels, Marriott International’s flagship brand, is constantly advancing the art of hosting through various implementations, so their guests could travel brilliantly. The establishment that started from a nine-stool root beer stand, which now is globally represented with 6,500 hotels in 132 countries, is ever thankful to their associates for this phenomenal growth. 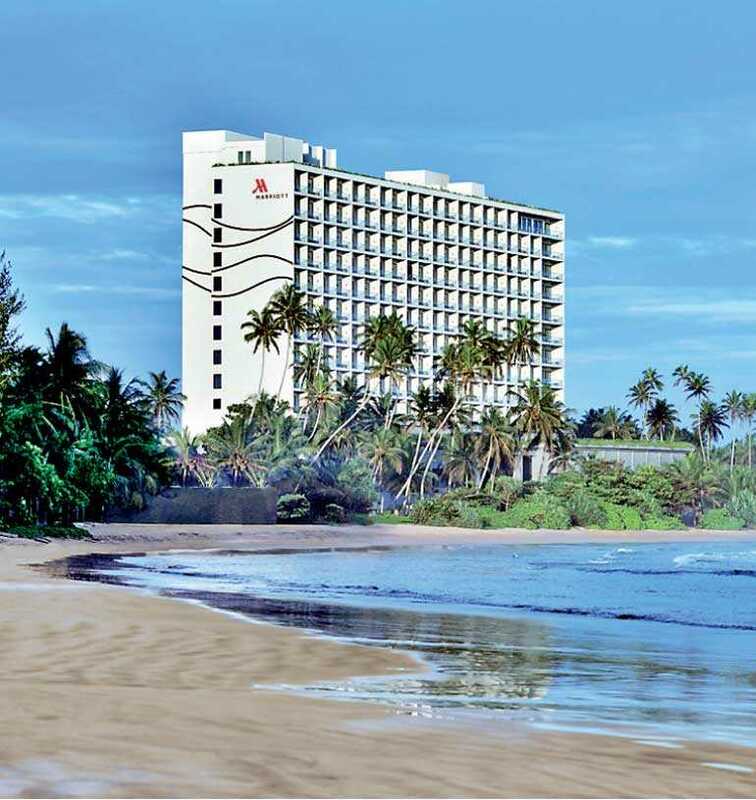 Though the Weligama Bay Marriott Resort & Spa has only been open for one year, it has built a reputation in the country as a workplace that welcomes and values each person. Marriott’s core value of “putting people first” influences everything the staff does at the resort — from the way they treat guests to the way they care for associates. General Manager Elton Hurtis and his team strive to build a workplace that welcome people as they are and constantly focus on improving the talent base. “Our associates play a major role in the business and we appreciate what they do and also recognize all their efforts. At Marriott, the first core value is ‘put people first’ – take care of our associates and they will take care of our customers. This signifies how much we value our associates. We understand that this is a two way process and as the saying goes, you need to give and receive,” stated Hurtis. Appreciation Week started with a lot of excitement amongst the associates with an innovative line of activities. Creating a ‘Happiness Hub’ and addressing a letter to the family of each and every employee for their sacrifices made were among the highlights. Associates were welcomed offering juice, fruits and sweets through the entire week. Each day was given a theme and day one was for “Unity”. Starting the day was with Fit Shots, getting the associates geared for the day with a traditional Sri Lankan herbal drink. The event was inaugurated by the General Manager. Day two themed day of “Power” was packed with fun-filled events and a game ‘The Amazing Race’. A twist to the original Amazing Race, the idea was to bring out the best in each department and also to identify hidden talents. “Day of Indulgence”, day three, offered associates a head and shoulder massage in the ambiance of a spa, creating a relaxed environment. The day ended with high tea served at the Big Fish restaurant. “Day of Intelligence” on the fourth day was marked with a quiz competition covering the spectrum of Marriott’s history, product knowledge, Sri Lankan history, and local attractions. The enthusiasm was intense and the Food and Beverage team emerged as the champions. The Associate Appreciation week ended with the most looked forward to event, the “Day of Celebrations”. An entertaining night with music and dance, performances by all departments and the heads of department, ended on a high note with the awarding of gift certificates to the winners of the week long activities. “Our main aim is to be amazing hosts to our guests so that they can travel brilliantly. Every little action contributes to offering a seamless experience and it is a collaboration of the efforts by our stars,” commented Director Human Resources Sanchitha Uduwavidana. “We stay focused on inventing various new avenues to harness and develop the next generation of talented employees and this is one such initiative to reward our stars” added Uduwavidana. Weligama Bay Marriott Resort & Spa was also certified as a great workplace by the independent analysts at Great Place to Work in Sri Lanka. Resort earned this credential based on extensive ratings provided by its employees in anonymous survey conducted by Great Place to Work Institute. Marriott International’s strong foot print in Sri Lanka is poised to open new avenues for employment, while creating unique experiences for local and international travellers alike.